2015 saw the release of their fourth album, 'Conflict Tourism', which appeared on several end-of-year best album lists and received national airplay on both BBC Radio 2 & BBC 6 music. Produced by Mark Tucker and featuring Matt Downer (Jamie Smith’s Mabon), Phil Henry (Phillip Henry & Hannah Martin) and James ‘Hutch’ Hutchinson (Bonnie Raitt), 'Conflict Tourism' packs a considered punch from start to finish. Katriona Gilmore grew up in Knebworth, Hertfordshire, learned violin at school and started playing local folk clubs with her guitarist father at the age of 14. She joined folk pop sensations Tiny Tin Lady in 2006, and in 2011 was invited to be part of a new lineup of The Albion Band. Katriona has featured on many acclaimed albums as a session musician and has appeared onstage with such diverse acts as The Troggs, Kim Richey and Matt Berry. Kat is now part of Cambridge based supergroup The Willows. 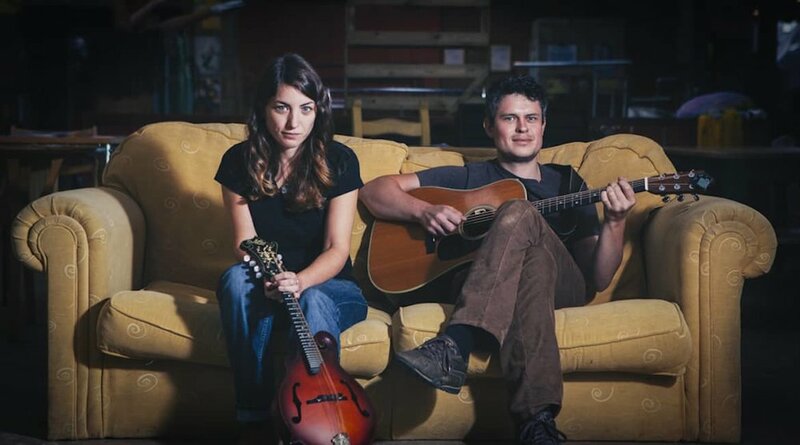 Jamie Roberts was brought up in Barnsley, South Yorkshire in a musical family – his sister Kathryn Roberts is a well-respected singer on the UK folk scene. Jamie joined young English traditionalists Kerfuffle in 2007 and more recently formed The Dovetail Trio with Rosie Hood and Matt Quinn. Alongside his regular projects, he has performed with Nancy Kerr’s Sweet Visitor Band and Blackbeard’s Tea Party among others. Kat and Jamie are currently working on their next album.